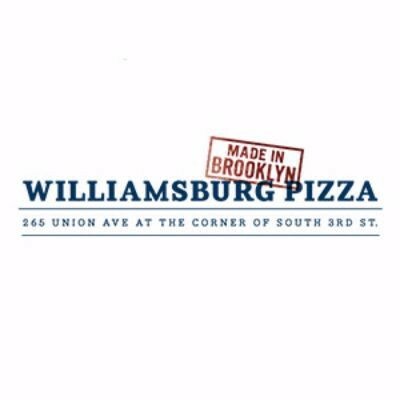 Interested in working at Williamsburg Pizza? Let us know and we will notify you of upcoming, local job opportunities. This new Brooklyn favorite has an old school feel, with classic slices that earned it a spot in New York Magazine's Best of New York issue shortly after its opening. Barclays Center features the best of an extensive pie menu, with the Grandma (garlic, olive oil, fresh mozzarella, grana padano, and basil), Plain Square, Bianco and Sausage (sweet Italian sausage, garlic, roasted peppers, and basil). Showing Williamsburg Pizza Jobs near your default location, Ashburn United States. No jobs at Williamsburg Pizza found were within 25km of your current location.